In contrast to Western cultures, most Eastern cultures more readily understand life force energy and that it is the basis for energy healing. It often complements traditional medicine. The field of energy medicine is both vast and complex. It encompasses all energy that exists, whether electric, magnetic, electromagnetic fields, including light and sound, as well as other forms of energy such as heat, pressure, chemical and elastic energy, and gravity. Energy healing manipulates the life force energies that surround and permeate the physical bodies of humans, plants or animals as well as inanimate objects. Everyone has certain abilities to manipulate energy through thought, emotion and human touch. Some people, however, have enhanced abilities in this area, derived from concerted study, meditation, practice or attunement. Still others seem to be born with special abilities to heal with energetic touch. Reiki addresses the mental, emotional, and spiritual aspects of the individual, as well as the physical body. In a nutshell, Reiki balances a person’s whole system which allows the person’s systems to heal themselves. Reiki (pronounced Ray-kee) healing is a “hands-on” energy healing art. It was originated in Japan in the early 20th century by Mikao Usui, who had a life-changing experience of light and energy that he recognized as reiki–sacred life force–and that awakened his innate healing abilities. He developed a system of practices that enabled others to become effective healers. In a Reiki healing session, the practitioner, trained to access and serve as a conduit for the life force (ki or chi), places her hands on or above the client’s physical body in order to transmit healing energy to receptive points of the body or energy field. The practitioner’s hands move progressively or intuitively with a passive touch through various positions on the body, remaining in each position for three or more minutes. As a harmonic flow of energy is strengthened, within the client and practitioner, healing occurs through the return of physical, mental, and spiritual balance. See Reiki Classes for more information. 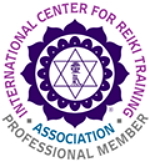 Karuna Reiki© healing is an advanced style of Reiki developed by William Lee Rand, President of the International Center for Reiki Training. Karuna is Sanskrit for any action that is taken to diminish the suffering of others and can be translated as “compassionate action.” Karuna combines the powerful healing forces of love and wisdom, punctuated by compassion to heal at very deep levels of a person’s energy and physical bodies. See Reiki Classes for more information. Holy Fire Reiki — Both styles (Usui Reiki and Karuna Reiki at Know Thyself Healing Center are now infused and informed by the highest vibrations and consciousness of Holy Fire Reiki, a new spiritual energy that creates wholeness through purification, healing, empowerment and guidance.